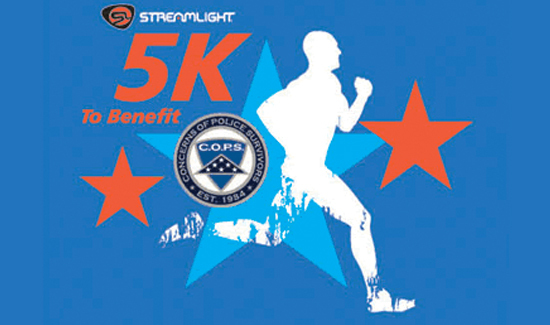 Streamlight, a leading provider of high-performance lighting tools for law enforcement, will host the 2nd annual Concerns of Police Survivors (C.O.P.S.) 5K/Fun Walk on Wednesday, June 8, at 6:30pm at Lower Perkiomen Valley Park Trail – 101 New Mill Road, in Oaks, PA, near the company’s headquarters. Proceeds from the event will support the C.O.P.S. organization, which helps families and co-workers cope with the loss of police officers who are killed in the line of duty. Dozens of Streamlight employees are expected to participate in the event, which is open to the public. They will be joined by local law enforcement personnel and valued business partners. This year, Kim Weigand, mother of a fallen officer and Executive Director of the Pennsylvania chapter of C.O.P.S., will speak at the event. 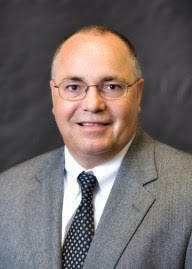 Weigand became involved with C.O.P.S. eight years ago after her son, Sergeant Michael C. Weigand was killed in the line of duty. She and her husband, Latimore Township’s Chief of Police Mike Weigand, had already begun the process of starting the Pennsylvania C.O.P.S. chapter before her son was killed. Streamlight also recently introduced a Blue model of the Streamlight Siege® AA ultra-compact lantern, featuring both white and blue LEDS and also co-branded with the C.O.P.S. logo The company will donate $2.00 from the sale of each lantern to the organization. To register for the 5K/Fun Run, CLICK HERE.